Technology It's got everything and more. Performance It's fast. Really fast. 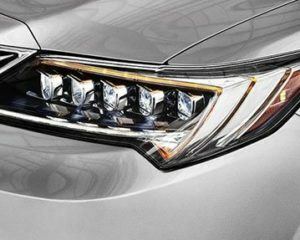 AcuraWatch The ultimate safety technology. Read and respond to incoming texts and emails, set reminders and alarms, get turn-by-turn voice navigation and even check the weather – all with your hands on the wheel. The available On-Demand Multi-Use Display gives you the ability to adjust climate control settings and select preferred audio, including available SiriiusXM, all on a easy-to-use touch screen with haptic Feedback. The available AcuraLink connectivity system can send destination information directly to your car and reroute your journey based on highway conditions. Steam music content and drive with added confidence knowing you have access to 24/7 Enhanced Roadside Assistance and even your own personal concierge. Not year your car? No problem. The Connect app acts as a remote and tool for diagnostics. 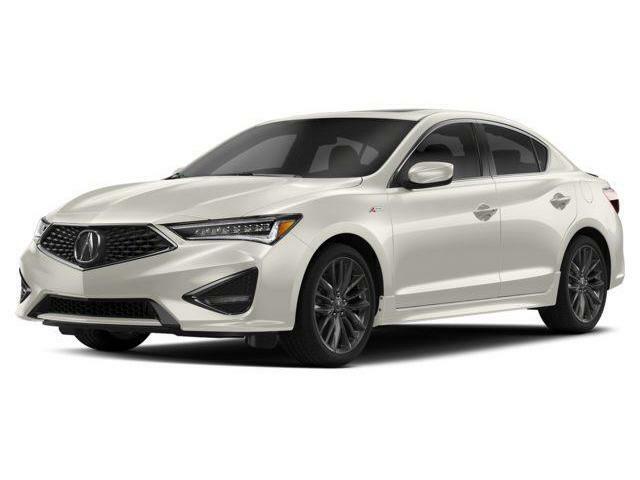 The ILX’s available Acura Navigation System with Voice Recognition gathers street and highway information to help you dodge traffic and reduce stress. The available iPhone Navigation app acts as an alternative to embedded navigation, seamlessly transferring map information from your compatible iPhone to your vehicle’s navigation screen. Simply download the Navigation app for a convenient way to keep your eyes on the road ahead. Developed by Grammy Award-winning music producer Elliot Scheiner, Acura’s available ELS Surround Premium Audio System transforms your vehicle into a personal soundstage – whether it’s Aha, SiriusXM or Bluetooth Audio. Between the studio-grade equipment and the ILX purposefully quiet cabin, enjoy extended frequency range, lower distortion, enhanced clarity, and transparency to create an audio experience like no other. The ILX’s 8-speed dual clutch transmission with torque converter is engineered to always be a step ahead, delivering rapid yet smooth transitions and lightning-quick responses. Tailor-made turns. 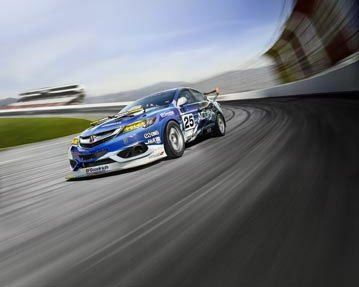 The ILX has sport-tuned steering that is designed to allow the vehicle to respond instinctively with the driver, thus reacting quicker and more directly to the driver’s input for a more accurate and reassuring feel. React to the road ahead. The ILX is equipped with Ampiltude Reactive Dampers that are engineered to give you the best of whatever the situation demands. 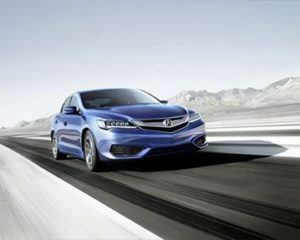 They operate in two unique performance zones, helping to offer both a composed, comfortable ride and precise handling. Race-inspired control. 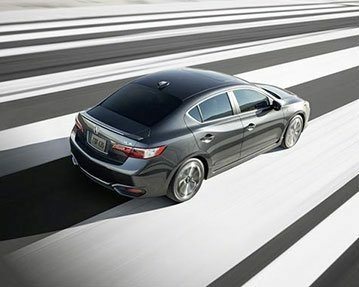 Up or downshift and take full advantage of the quick-reacting dual-clutch transmission. With paddle shifters on all trims, you’ll experience more control and a more direct connection to the car. Acura’s signature Jewel Eye LED headlight system presents an array of lighting with a total of ten separate, highly-focused LEDs with optical lenses to provide powerful down-the-road illumination. Did you hear that? Neither did we. 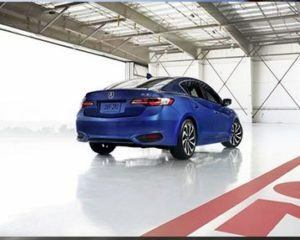 With Active Noise Control to help cancel out unwanted engine sounds and standard noise-reducing wheels to cut resonation, the ILX is remarkably quiet. 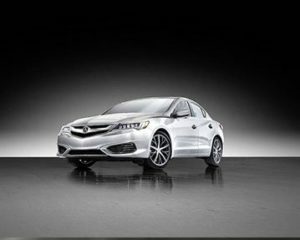 Acura’s Advanced Compatibility Engineering body structure is designed to absorb and more evenly distribute energy from impact, regardless of how big or small the other vehicle may be. So, in the case of a crash, the vehicle is engineered to transfer energy around the vehicle and away from passengers. 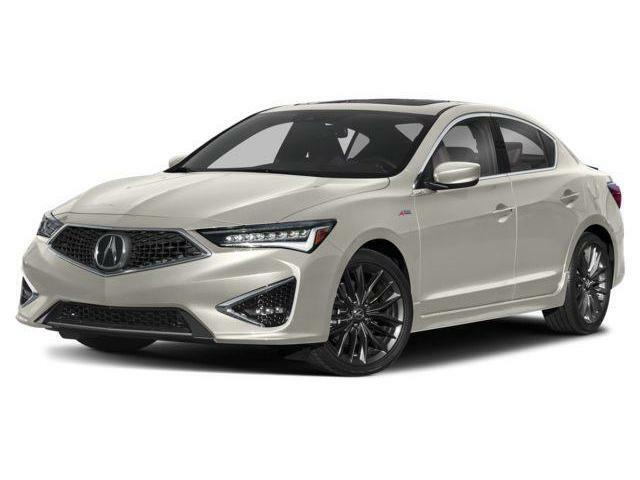 The A-Spec appearance package gives the ILX an even sportier look with brilliant fog lights, machine-finished 18″ alloy wheels, side skirts and a deck lid spoiler. The interior look is complete with stainless steel sport pedals, red instrument illumination, Lux Suede-trimmed sports seats, black headliner and contrast stitching. The Multi-Angle Rearview Camera is a safety tool, which provides you with the ability to see what's behind you. 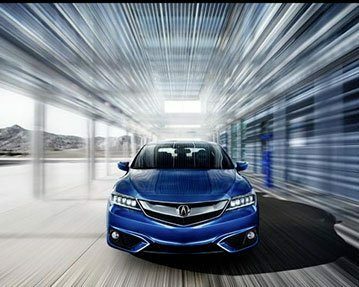 In the ILX, the camera automatically activates when you reverse. The rearview camera also provides you with guidelines, to help you position your car. A small camera mounted at the top of the windshield can track lake markings on the road and then determine when the driver is making an unintended departure from a detected lane. This standard system provides visual alerts on the driver’s instrument panel along with an audible warning. Using ultrasonic sensors in the rear bumper, the available BSI system illuminates an indicator light to let you know a vehicle has been detected in your blind spot and alerts you with an audible signal if you try to change lanes. 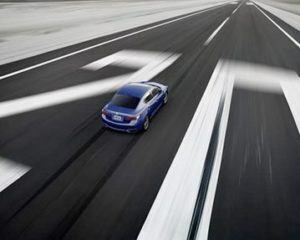 As with a conventional cruise control system, the standard Adaptive Cruise Control System with Low-Speed-Follow allows you to set a desired speed, but it is also designed to keep a set distance from the car ahead of you, so you can enjoy cruise-control even in light traffic condition. The Road Departure Mitigation system works with the Lane Keeping Assist System and uses the monocular camera to recognize painted lane lines, Botts’ Dots and Car Eye markets to help determine the lane boundaries. When the ILX’s current trajectory strays from a detected lane, the system is designed to trigger an audible alert and apply corrective steering input, and if required, braking force to help maintain your current lane. The standard Collision Mitigation Braking System warning was developed to help reduce the likelihood of a frontal collision. The system is designed to alert the driver of a potential collision and take steps to help mitigate the severity of a frontal collision if the system determines it to be unavoidable. 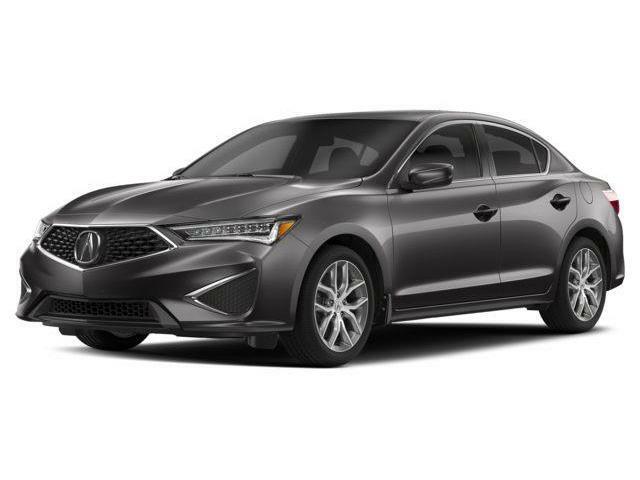 The standard Forward Collision Warming system uses a camera located between the windshield and rearview mirror that is engineered to alert you if it determines that your ILX may collide with a vehicle detected in front of it. If your vehicle speed is above 15 kilometers per hour and it determines a collision possible, it is designed to warn you with audible alerts and a flashing amber BRAKE warning light on the Multi-Information Display. It's the ride you've been waiting for. The Acura ILX 2018 model at Acura Pickering features an aggressive powertrain, forceful exterior, and luxurious interior. 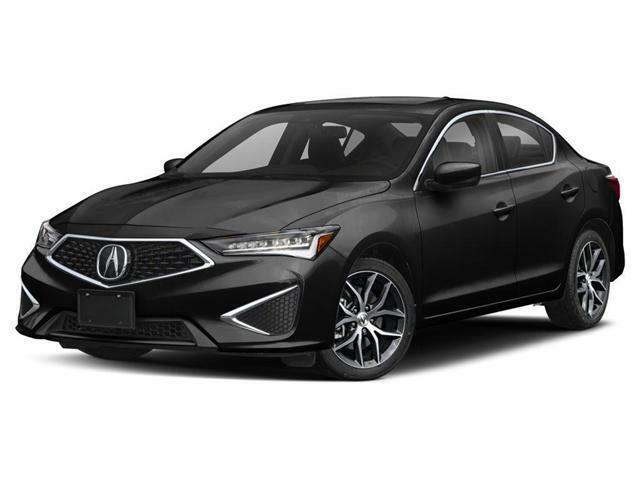 It stirs your imagination with a bold design featuring a distinctive front end, highlighted by standard Jewel Eye™ LED headlights, an eye-catching grille design and aggressive front and rear lower fasciae. Acura Pickering proudly services and provides the both new and used Acura ILX models to Pickering, Toronto, Toronto, Ajax, Whitby, Oshawa, Bowmanville, Port Hope, Cobourg, Uxbridge, Stouffville, and Peterborough. †Only available in certain areas. Includes a no-charge trial of three months. MSRP is not reflective of taxes, freight, PDI, licensing, additional packages and/or add-ons. §,None of the features we describe are intended to replace the driver’s responsibility to exercise due care while driving. Drivers should not use handheld devices or operate certain vehicle features unless it is safe and legal to do so. Some features have technological limitations. For additional feature information, limitations and restrictions, please visit www.acura.ca/disclaimers and refer to the vehicle’s owner’s manual. *Requires one-time download of AcuraLink™ Navigation application (CAD$84.99 plus applicable taxes). Price is subject to change. **Only compatible with certain devices and operating systems. Cellular data and/or voice charges may apply, including roaming charges and/or other amounts charged by your wireless carrier. ***HomeLink® can be programmed with codes of up to three remote-control devices (e.g., garage-door opener, home security system, etc.). ‡Subscription required. One year complimentary subscription to AcuraLink Standard, AcuraLink Connect, and AcuraLink Premium included, after which fees, taxes and other charges will apply in order to continue the subscription. The availability of certain cellular networks is required for AcuraLink to operate properly. Service interruptions may occur and/or vehicle system upgrades may be required if cellular network availability is compromised. Ask your dealer for full terms and conditions. ‡‡Map database covers major metropolitan areas in Canada and 48 contiguous U.S. states.